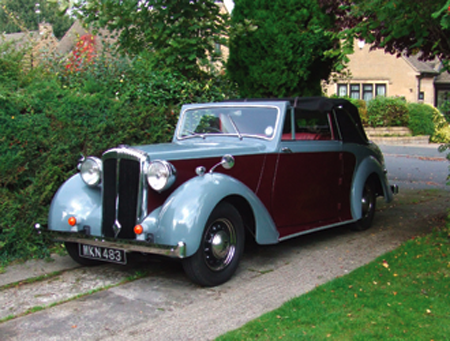 I purchased this motor car as a partly restored project from an enthusiast in Scotland. We agreed a price over the telephone, following an exchange of emailed photographs. 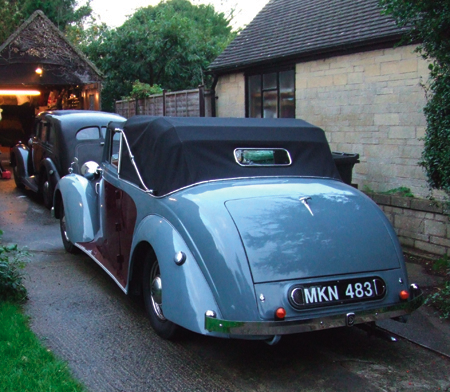 The chassis had been largely restored but the bodywork, which was not on the car when I bought it, was in poor original condition with parts missing. I collected the car and a host of spare parts which came from a derelict saloon car. Many hours were spent continuing the restoration, what had been done was excellent and it was a pleasure to continue with this project. Although manufactured at the same time, the structure of this model is quite different from the Barker Special Sports, which has an excellent and well built frame. The rear part of the car is supported by two longitudinal plywood sections, these also support the inner wheel arches. These plywood sections were completely rotted on my car and are a weak point on this model. The wooden frame around the rear of the car was also in a poor condition and required considerable attention. 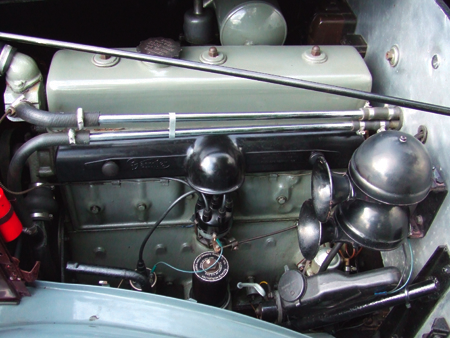 The early DB18 chassis had rod operated brakes, which when properly adjusted are perfectly adequate for the car’s performance, but not up to the excellent standards of the servo assisted pre-war E series cars. The differential is underslung worm drive, of a lower ratio than the Special Sports, the preselector gearbox does not have overdrive. The six cylinder ohv engine has a single SU and steel cylinder head. 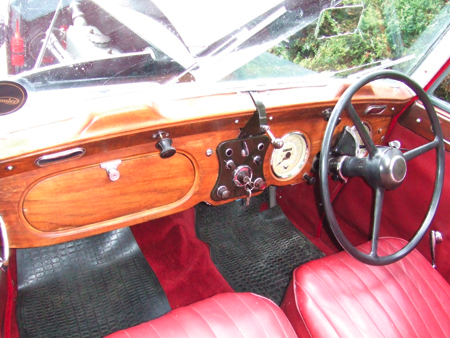 Once back on the road, the car drove beautifully, I particularly enjoyed using the car in the ‘de ville’ position, which is both stylish and practical, the front seat occupants getting the benefit of fresh air motoring, without the backdraught often associated with open cars. Cruising speed is a comfortable 50 mph, with quite a bit more to spare. 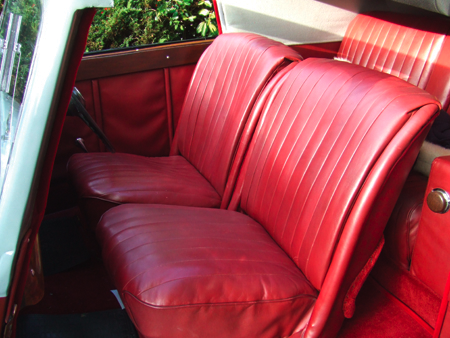 Although a fairly large car, the rear seats do not have anywhere near the legroom of the Consort or DB18 saloon. If you plan to buy one of these lovely motor cars for restoration, ensure that you have the skills to renovate the body frame. If viewing an expensive car make sure that the wooden frame is all good. The wings, bonnet, and screen surround are steel and usual corrosion checks apply, the rear body tub and doors are aluminium over a wooden frame. If you would like to know more about the Daimler DHC by Barker please contact me by completing the form below.